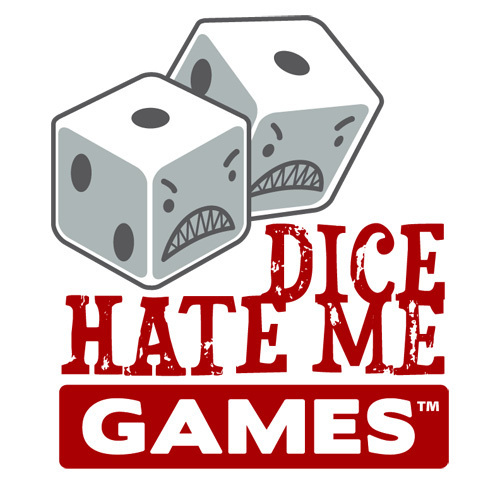 We spent a considerable amount of time with the folks from Dice Hate Me at Origins this year. You’ve already seen our visit with Heartland Hauling designer Jason Kotarski, today we bring you, not one, not two, but THREE videos from the Dice Hate Me stable of designers, including a chat with Mr. Dice Hate Me himself, Chris Kirkman. 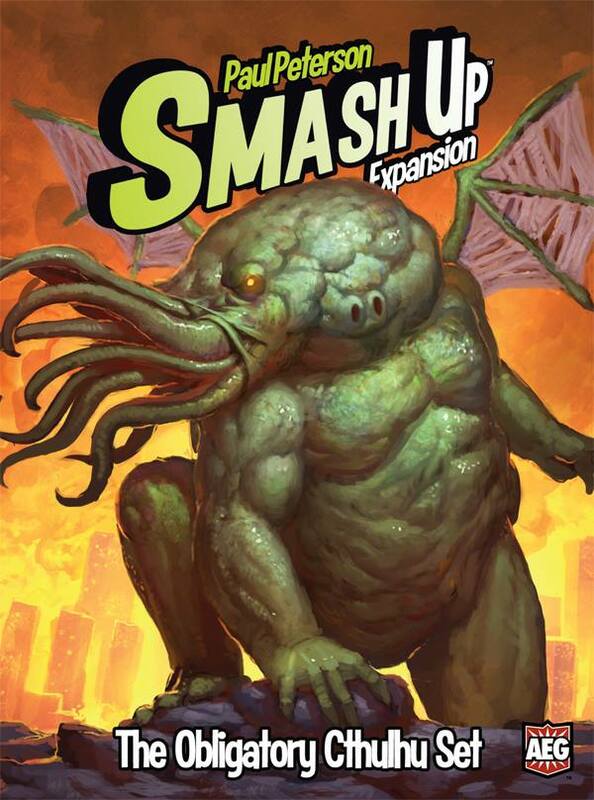 Game designer extraordinaire Paul Peterson is at it again with yet another expansion for the smash title Smash Up! 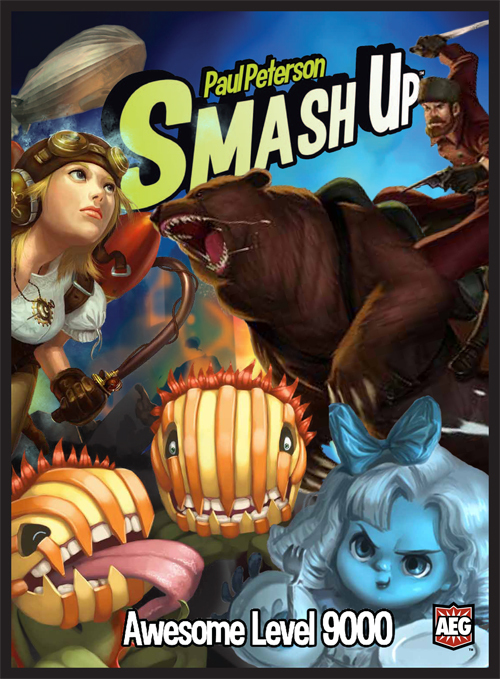 Paul, being the friend of the blog he is, agreed to once again have a cyber chat with us about Smash Up, and he brought along Todd Rowland, Director of Marketing and Senior Brand Manager for Alderac Entertainment Group. Just a little room on the outside edge. But it’s cushioned well. 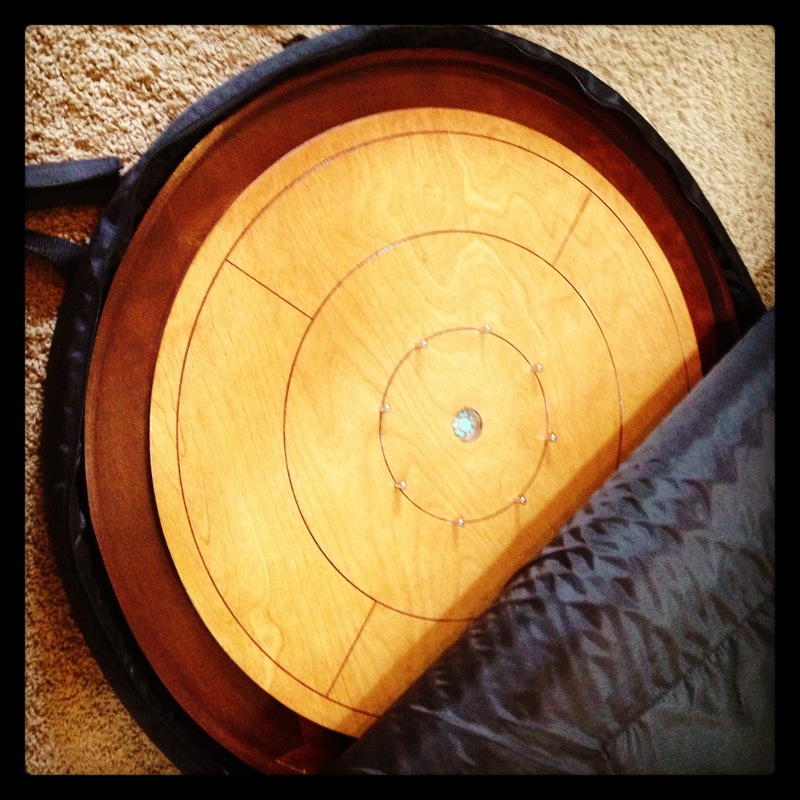 A while back we featured a Kickstarter Weekly from Mayday Games that included a crokinole board, a carrying case, and a clock you can affix to the front of a board if it’s hanging on the wall. Well I have a Hilinski Brothers board that I’m completely happy with, but I wondered if the Mayday case would fit my non-Mayday board. So I reached out to Mayday, and they graciously offered to send me a case so I could test and report on it. Hey everyone! We just wanted to take a few minutes and let you know that there is still a ton of content coming your way from Origins Game Fair 2013. I (Jeremiah) am busy editing away to get more of our new Theology of Games Visual content ready for YouTube; we’ll also have a bunch of really cool photos to share, and more! And don’t forget to head to our YouTube channel and see all the great stuff there, subscribe, and maybe even click on a thumbs up or two! Thanks for reading as always, and don’t forget the Twitter, Facebook, and Instagram things! Crash Games’ Patrick Nickell was kind enough to sit down with Jeremiah and tell us about Council Of Verona, Paradise Fallen, and more! Lately we’ve had a couple of awesome opportunities to reach out beyond the board gaming community and talk to some geeky cultural icons about their faith. 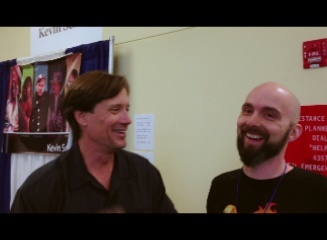 Kevin Sorbo, who has been a major player in the science-fiction/fantasy genre in pop culture, was at Origins this year, and he was kind enough to take some time and have a chat with Jeremiah. Our discussion was about faith, Hollywood, and Sean Penn. We’re excited to bring you this visual coverage of Origins, and hope you’re enjoying it! We’d love it if you subscribed to the blog and our YouTube Channel! You can find us on Facebook, Twitter, and Instagram. We’re very excited to bring you an interview with the designer of The Great Heartland Hauling Co., Jason Kotarski. 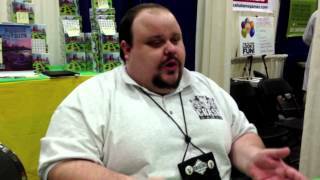 Jeremiah had a chance to sit down with him at Origins Game Fair in Columbus this past weekend and he gave us a look at 2 new games he’s developing, and chatted about his church plant in Flint, MI.